Hello World! It’s been so hot in here that nature’s colour has literally dried up. So I thought of adding some artificial colours to daily routine, just to feel lively you know! I know I didn’t make any sense over here but I am pretty sure you just got a whiff of temperature here in Pune. So, mission accomplished. So, today I am going to be reviewing the Miss Claire Eyeshadows. Actually I was in search of a nice blush when the counter girl suggested me to try these eyeshadows and told me that these are multipurpose. I couldn’t believe her but anyway ended up buying two of them. For this super cheap price I didn’t think this was even a gamble because, frankly speaking, there is nothing to lose. I got these in two shades: 0514 & 0237. Sadly most of Miss Claire products don’t have shades name, they just have numbers. I mean, why?!? 0514 is a coral-ish red shade while 0237 is a brown shade. Price: INR150-199 & shelf life of 3 years. Texture: These are neither too coarse nor too fine. I would keep them somewhere in the middle. The pigment is super duper high. Colour payoff: The colour comes out to be the exactly what is seen in the package. So that is a thumbs up. Usage: Now I tried testing their multifunctionality. 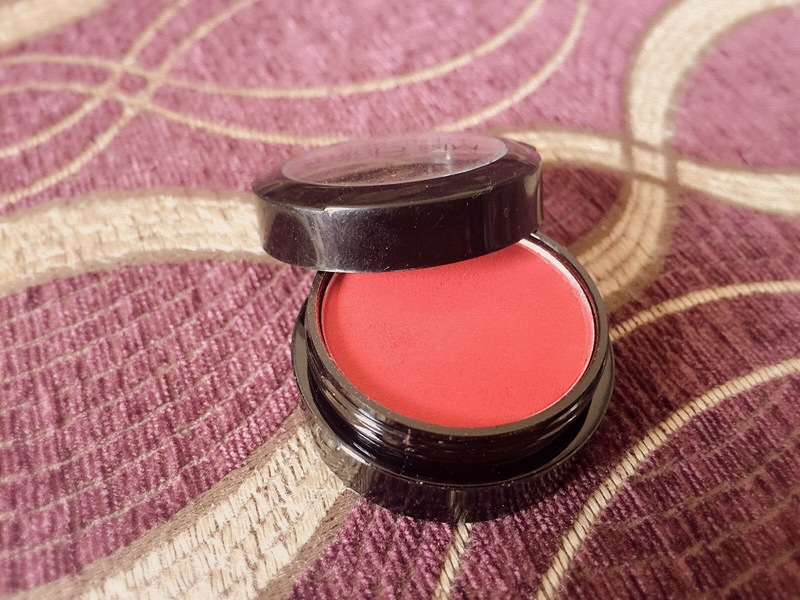 I tried the coralish red shade as a blush. Just for the trial purpose, I applied a very little amount on my cheek area and the result made my mouth open! It seemed as if someone had slapped me hard! No kidding here. At that very moment I made up my mind never to use it as a blush ever again. Next, I tried my hands on the brown eyeshadow. 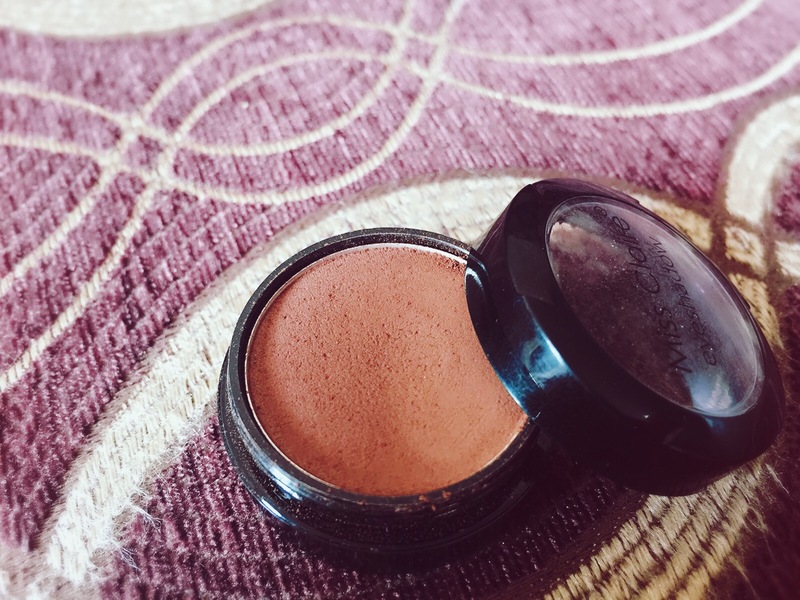 Although, this one can easily be used as the base shade for eyemakeup, I went ahead and tried to contour using this. Taking a tiny bit of eyeshadow on a brush, I applied and viola! I got the perfect contour. I liked how the colour blended and added more dimension to my face. Staying Power: The staying power of these is kind of ok. They don’t budge or smudge (unless touched) but they kind of seem to disappear on their own. After staying for around 3 hours, they start fading and ultimately vanish. The Verdict: There are mixed feelings for these eyeshadows. The pigmentation is superb but staying power is ok ok. Could’ve been better but at the price they come for, you are left with no scope to ask for more. Let me know which shade you own and how did it fare? Until next time, be beautiful and keep smiling! Was looking to buy one, thanks for the review !! !